The Ashton Cabinet Belicoso is tagged with free shipping. If you order this product, your entire order will receive FREE BCP Ship Saver shipping! Ashton Cabinet Belicoso delivers creamy top-shelf taste in an expertly crafted 5 1/4 x 52 Belicoso vitola. Get the greatest value on Ashton Cabinet Belicoso with this special 2-Box Deal! My favorite cigar at a good price! I recently order a sampler of these cigars and I probably have to order more soon. It is a really tasty cigar, well made and the price at BCP cannot be beat. If you purchase this cigar at a local store it will cost you $14 per stick. These are fine cigars if you like them a lillte on the lighter side of Meduim. If you enjoy smooth this was perfect. I grab two in a row becasue one sometimes was not enough. Enjoyed. A little harsh at the end. 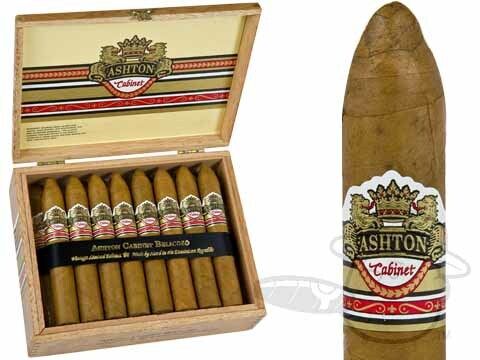 Ashton Cabinet Belicoso is rated 4.2 out of 5 based on 8 customer ratings.